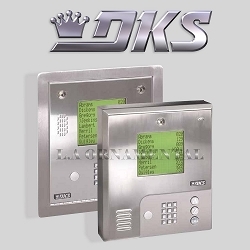 The Model 1837 is an ideal telephone entry and access control system suited for medium to large apartment and gated community applications as well as office buildings and industrial sites. The eight-line LCD display features big 1/2-inch characters for easy viewing and your personalized message appears on the screen when the system is not in use. Our unique "One Touch" CALL button makes this system one of the easiest to use on the market today! The built-in electronic directory, easy to use Remote Account Manager programming software, card reader interface and expandability options make this unit an ideal choice for those applications with a large number of system users and entry locations. Up to 16 card readers can be interfaced with the 1837 to provide access control. 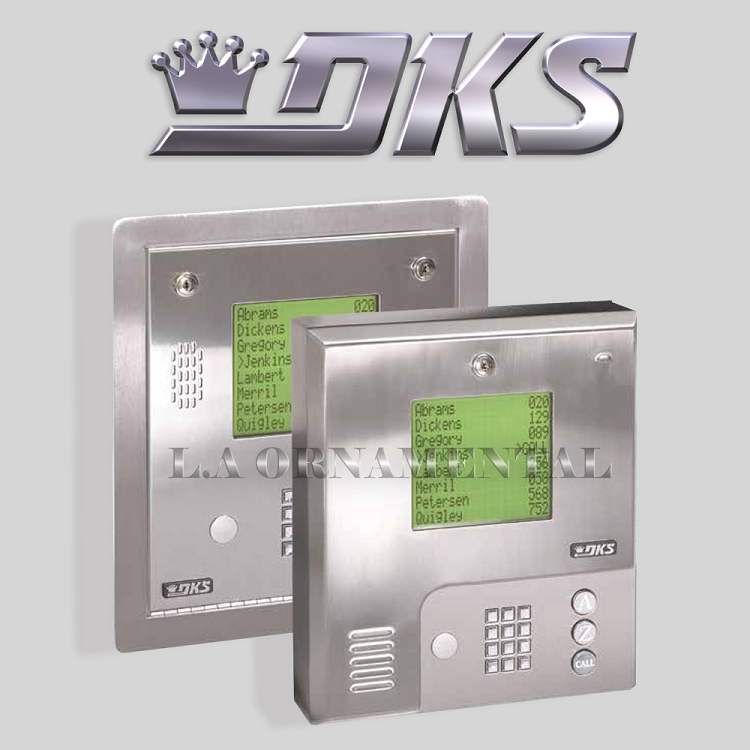 Additionally, our elevator control module restricts which floors a guest or system users have access to, making it an ideal system for high rise buildings. For additional security, the 1837 allows you to monitor activity AS IT HAPPENS on your computer display and with our anti-pass back memory, you can enable a TRUE anti-pass back system in one of three different configurations; passive, active and trap. Note 1: Modem and IM-Server connection can only be used to send and receive data. These connections cannot be used for Live Transactions or Live Streaming. Note 3: Requires DKS TCP/IP Converter connected to the 1837. Built-in eight-line LCD directory display. Eight-line directory display uses super-twist LCD with 1/2-inch characters. 16 VAC, 20 VA and 16 VAC, 50 VA power transformers supplied.